If high quality antiques and collectables are your focus then this is the event for you to sell at. 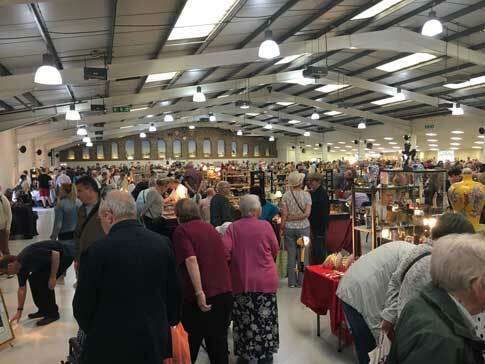 A small, bustling fair held in the one hall, the Malvern Antiques & Collectors Fair has long been the stalwart of the antiques fairs calendar. Known for the high standard of goods available, the event brings together an excellent mix of first-rate exhibitors. Be one yourself and book now! Please note: No casuals will be admitted. Single Stand: 8ft pitch with one 6ft table, leaving 2ft access to the rear of your stand. End of Row: 12ft pitch with 2 x 6ft tables. Double Stand: 16ft pitch with 2 x 6ft tables. Electrical supply (it is advisable to bring an extension lead and your electrics must be PAT tested). Download our Malvern Antiques 2019 booking form, which has the new prices for 2019. Simply, print it, complete and return to us by post, making sure you have included payment details and taken note of the payment processing date. Alternatively, call the team on 01636 676531 and your booking can be taken over the phone. Sunday: Early entry: 8:30am – 10:00am, £4pp. General entry: 10:00am – 4:00pm, £3pp. 7:30am -	Showground opens. Cars allowed access to park around the building. June event	-	Outside exhibitors parked from 8:00am.